Sturdy workspace meets space-saving storage with the First Watch Garage Series® Workbench with Overhead Storage. Constructed with a frame of 1.0mm cold steel and finished with a 3.2 mil epoxy-polyester powder coat finish, it's durable enough for daily use and abuse. Durable 1.5" thick fold-down work surface provides plenty of room to complete projects and lets you make use of tight spaces by folding out of the way when not in use. 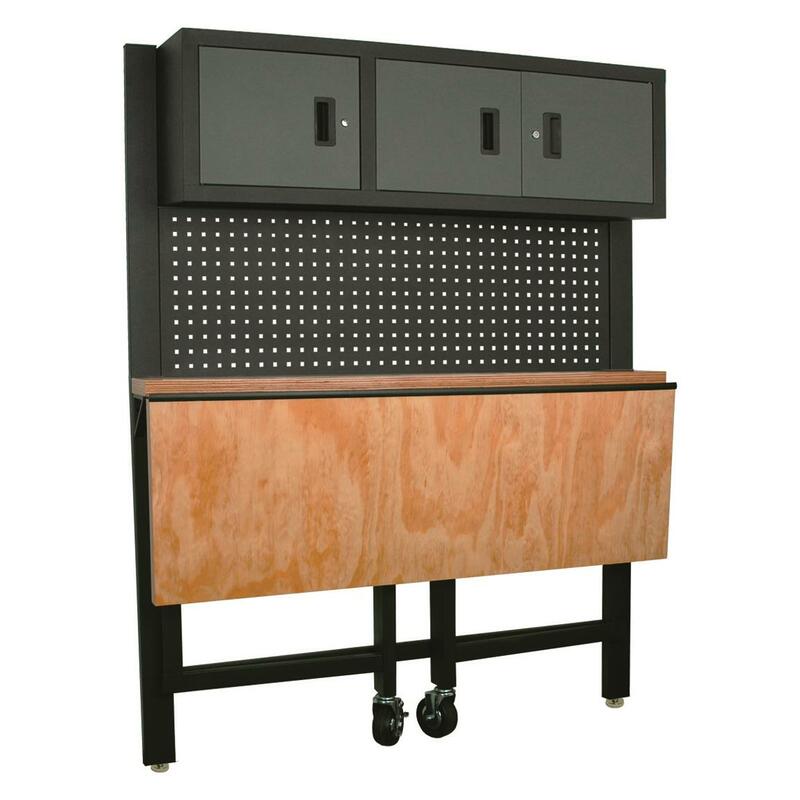 Pegboard backpanel keeps your most used and needed tools in easy reach. 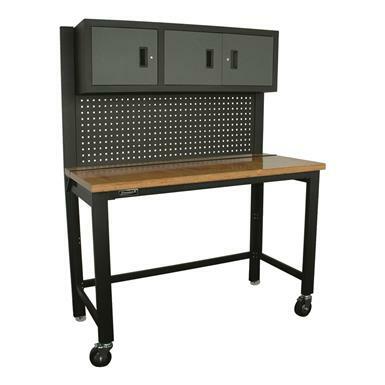 Two overhead cabinets use a HMC high-security tubular locking system to keep your more valuable items from walking away.